Whatever Kenyan athletes go through, besides running and training, brings them together as a community that deeply understand each other. Below is an example of a typical day in a long distance training group in Kenya. On the night of 27th February 2017, rain poured down heavily almost throughout the night. After the rain, I woke up in the misty morning and jogged on the muddy rough road towards the point where I would normally meet with my training group in Kimumu, Eldoret for the Tuesday speed workouts. I wondered how we were going to do an effective fartlek on such a slippery and muddy road surface. Few athletes had already turned up at the starting point and I decided to jog a little farther before turning back. However, as I approached the start point on my way back, I saw a pickup truck already loaded with athletes who were shouting for me to hurry up and board it. The venue had been changed and we were moving to a more favorable route somewhere else. The vehicle was moving around collecting the athletes. 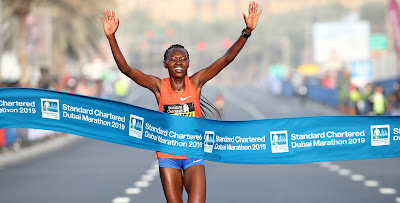 This is another amazing spirit of Kenyan athletes that is often not shown by the media. They fuel their vehicles and give them out for other athletes to use without demanding that they contribute anything. 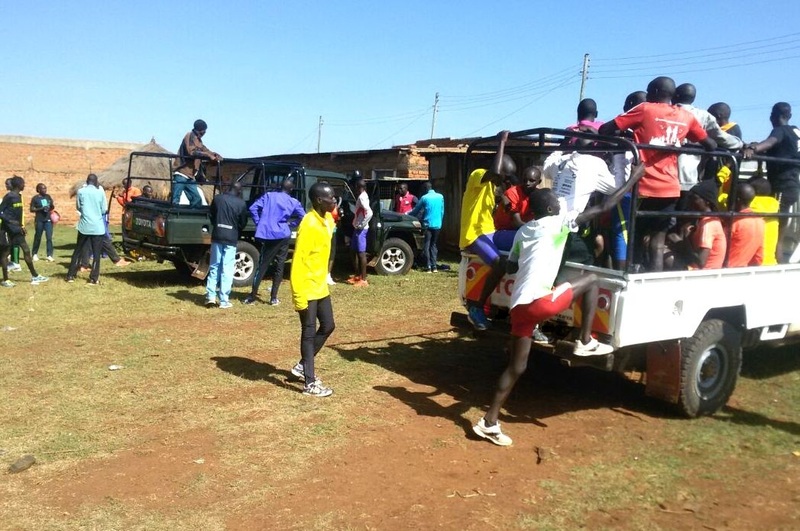 There are so many athletes in the Kimumu group of Eldoret who make this group great, but so far I have been impressed by two athletes who always give out their vehicles for long runs and occasions like this when we would have to travel to find good roads to train on. It doesn't matter whether they are in the country or out of the country; their vehicles are always there for the athletes in the group to use. They are Wilson Erupe, the reigning Seoul Marathon champion and James Kwambai, the former Kenyan record holder in marathon, and I am not saying they are the only ones. As we began our journey, two other vehicles that had collected athletes from other points joined us. A total of five vehicles full of athletes were at the scene where we alighted to do the fartlek. With roughly 100 athletes specializing in different events ranging from 800m up to the marathon, someone had to give out an order. It was Erupe who issued the program and asked that we made sure everyone benefited from the workout and not make it a competition where everyone wants to appear at the front. It was going to be a fartlek; one minute hard, one minute easy for 25 times. And, as expected, when the alarm went off for the hard run, one could only hear footsteps and nothing else in the leading pack at the front where everyone seemed not to be breathing. Then, as the alarm sounded to go easy, it would take about 10 seconds before some panting could be heard as the rest of the group would close in. But, the composition of the leading pack would change later in the run as sprinters gave way and the long distance runners took over. Such is the advantage and excitement of being part of a large training group here in Eldoret. The 28th of February not only marked the last day of training in February 2017, but the end of training on the dusty roads and tracks and the beginning of rainy season. Both seasons are tough for athletes. The dusty season that usually begin roughly from November to sometime in March often sees many athletes getting common colds and flu. Vehicles that pass by them during their training on rough roads would cover them in clouds of dust. Large training groups here also raise a lot of dust while doing their intervals on the rough tracks. In fact, most athletes leave a cup/packet of milk ready in their houses to gulp down the dust once they get back from their workouts. The advantage with the dusty season is that you can train any time you choose. The rainy season too has its own disadvantages and advantages. Track intervals often have to be cancelled after heavy downpours. Sometimes athletes, especially the track athletes, would wait almost half the day for the track to get better, so they can do some intervals even on one half of the track that gets better. The advantage with the rainy season is that there are fewer colds and flu among the athletes and greener vegetables are cheaper and in plenty. So, life generally looks easier in the rainy season.